Reporting the Revolutionary War – Book Review | Armchair General Magazine - We Put YOU in Command! Reporting the Revolutionary War: BEFORE it was HISTORY, it was NEWS. Todd Andrlik. Sourcebooks, Inc., 2012. Hardback. 368 pages plus index and bios of the contributors. Between researching my weekly newspaper column and other freelance work, I spend a lot of time reading microfilm of old newspapers. A. Lot. Of. Time. There is one university that really should consider putting a plaque with my name on it on one of their microfilm machines. Although I’m usually looking for original sources on a given topic, I also find the rest of the information on the page enlightening. Old advertisements, be they display or classified, offer up information on their times; Royal Baking Soda must have been the biggest advertiser of the late 19th century; its small ads were everywhere. In these old papers you can see the advent of sports sections, the changes in journalistic style and spelling and in capitalization and punctuation. And of course, there are the slanders anyone could submit under a pseudonym—in that respect, newspapers were once like the Internet. If you think today’s media is biased, try reading newspapers printed before the concept of journalistic ethics evolved. My research is primarily focused on the 19th century and the first half of the 20th. Frankly, there just aren’t a plethora of 18th-century papers available. So I was delighted when a copy of Reporting the Revolutionary War: BEFORE it was HISTORY, it was NEWS landed with a thud on my desk. If I move it up and down while reading I can learn about history and get in some weightlifting at the same time. At less than 400 pages, it isn’t especially thick, but it is ten-and-three-fourths inches high and ten-and-a-quarter wide, and the publisher didn’t scrimp on the weight of the paper used for printing its pages. Ran away from the Subfcriber, living in Second-ftreet, the 8th Inflant, an Englifh Servant Man named John David, by Trade a Hair Dreffer, about 22 Years of Age, near five Feet five Inches high, of a dark Complexion, down Look, fpeaks flow. He had on, when he went away, a Beaver Hat about half worn, a gray Surtout Coat, light blue Body Coat, brown Cloth Jacket, light colored cloth Breeches, fpeckled Stockings, half worn Shoes, with Steel Buckles. Whoever fecures the faid Runaway, and brings him to his Master, fhall have TWENTY SHILLINGS Reward. You will note all the “f” letters where you would expect to see a small “s.” That’s another of the differences found in old writings. While the ads and smaller stories add to the period flavor of this book, its meat is in the primary articles it reproduces. Here, you can follow the increasing colonial irritation with the British government, the outbreak of revolution, and the course of the war; a final section titled, “Reporting the Perils of Peace” continues the story after the guns fell silent. The colonials’ views aren’t the only ones represented. The London Chronicle, Glasgow Mercury and Quebec Gazette are found along with the Pennsylvania Packet, Boston Chronicle and Virginia Gazette, as well as other publications. To assist with putting the stories in context, there are numerous historical summaries throughout the book. Add in a wealth of four-color artwork and some period line drawings, as well as articles on the 18th-century newspaper business, the impact of the press during the Revolution, the value of primary sources and other topics—including advice on how to read 18th-century newspapers—and Reporting the Revolutionary War is one seriously impressive package. If its oversized shape won’t fit on your bookshelf, do not fret thyself, for verily, it makes a great coffee-table book. Reporting the Revolutionary War is a must-have for anyone researching the period of the American War for Independence or even for anyone with an interest in the period. It offers a compilation of original source material not readily available anywhere else. My only caveat is to keep a magnifying glass handy, especially if you want to read any of the side articles and ads; some papers used itsy-bitsy font sizes in order to cram more news onto fewer pages—not unlike what newspapers today are doing with the comics section. Fortunately, many of the primary articles are also shown as a separate page, using 12-point type. Click on this link to download a pdf of a sample excerpt on the Battle of Saratoga. Although his many hours spent reading microfilm have left him bleary-eyed and cranky, Gerald D. Swick has gainful employment as senior online editor for ArmchairGeneral.com and HistoryNet.com and as a freelance writer. 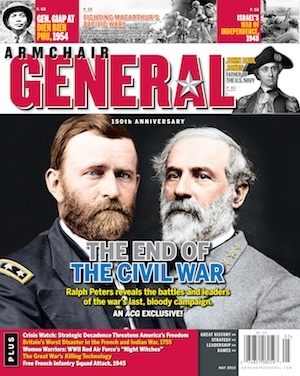 Among his recent articles is “Omen at Philippi” in America’s Civil War magazine. Thanks for taking the time to read and review my new book, Gerald. The book is the culmination of five years of research, curating, writing and editing, so I was thrilled to learn how much you enjoyed it. My goal was to create an irresistible supplement to all existing books about the American Revolution, and to help modern-day readers experience the Revolution through the only mass media of the era. Thanks again! My pleasure, Todd. It is an exceptional book with an unusual approach to the history of the period.